However you spell it, Fort Fraser, Frazer, or even Frazier, is spelled different ways on the Post returns from 1837 and 1838. It depends on which officer was writing it out. 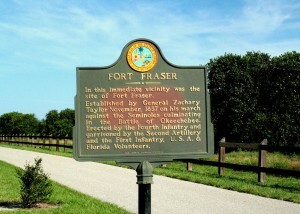 The fort was named for Lieutenant Upton Fraser, who was killed with Major Dade’s command. The fort was established in late 1837 during General Jesup’s three-column movement down the peninsula. Image above: Historical marker, which unfortunately doesn't give enough information because it is outdated. Beside the bike trail. The Post Returns only cover the months from December 1837 to April 1838. There are no returns for the Florida Militia activity during the Third Seminole War. 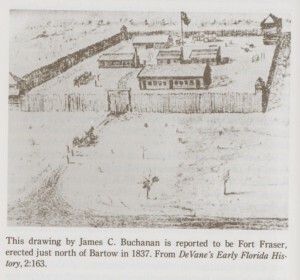 Fort history is covered in the book, “Florida’s Peace River Frontier,” by Canter Brown, Jr., which is the best history on the area. As Col. Taylor’s column moved south before the battle of Okeechobee, Lt.Col. William S. Foster ordered construction of a bridge and causeway ahead of the fort in mid-November 1837. The fort was constructed at the former site of Seminole Chief Oponey’s plantation by Lake Hancock. Col. Taylor came through and deposited supplies, and moved on down towards the Kissimmee. The Post Returns for December 1837 tell us that, Bvt. Major Henry Wilson of the 4th Infantry assumed command of the post on December 20, 1837. Earlier that month at Fort Brooke, Lt.Col. Foster had said that Wilson was one of the few officers who wasn’t sick. Also present were 2d Lt. James McLure, 1st Infantry, fulfilling duties of quartermaster and assistant commander. 2d Lt. R. A. Suthers, 2d Artillery, Commanding the Company. And L. Carswell-Ely, from the Missouri Volunteers, as post Surgeon. Capt. H.L. Thistle’s 2 companies of Philadelphia Volunteers numbered 139 rank & file were listed as attached to the post but not present. Total number present for duty at the post, officers and men, was only 27. Of the Pennsylvania Volunteers under Captain Hezekiah Thistle, they spent their time constructing bridges and causeways, and constructed the first bridge over the Peace River. For many years thereafter called Thistle Bridge. 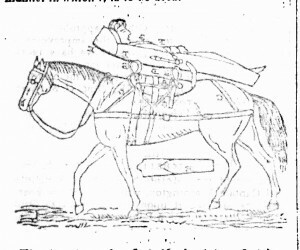 Above: Thistle’s stretcher saddle from the Army & Navy Chronicle. The following month, on January 15, 1838, 2d Lt. James McClure assumed command of the post, still doing his duties as QM. 2d Lt. R. A. Luther of the 2d Artillery became the Company Commander. L. Carswell-Ely from the Mo. Volunteers still remained as the surgeon. The 35 men on the post were composed of the 4th and 6th Infantry, with 3 from the Pennsylvania Volunteers, and almost all the men present are counted as sick, including all the officers. The February 1838 Post returns are especially interesting as the Commanding Officers page lists all 32 men on the post by name. It lists their regiment, and their status if they are sick or on duty elsewhere. On March 26, 1838, 2d Lt. Luther assumes command of the post. J.A. Hannah becomes the acting surgeon with the departure of the Carswell-Ely on the 21st. 2d Lt. McClure is sick at the hospital at Ft. Brooke. He will not recover and be dead at Ft. Brooke on April 5, 1838. One death is listed on the returns, although Sprague lists two, and they are down to 23 men total at the post. In April, Capt. John Munroe of the 4th Artillery assumed command on April 18th. 2d Lt. Luther became company commander, and 2d Lt. Bates was the QM and subsistence agent. Soldiers of Co. G, 4th Artillery arrived and increased the garrison number to 62. This is the last month on microfilm, then the post was abandoned in May. 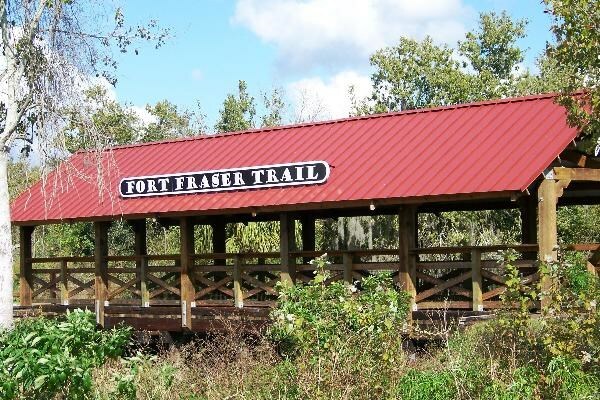 In Sprague’s history, I found listed three deaths at Fort Fraser/Frazer. Since they did not die from gallant action or circumstances, it is very possible that they were buried on the spot and still remain. Only the enlisted men who died under heroic actions were reinterred under the pyramids in St. Augustine. And I found another death during the Third Seminole War at Fort Frasier from Durrance’s company of the Florida Militia. Pvt. Stephen Scennet, Co. I, Oct. 16, 1837. Drowned. Since this was before the fort was established, it may have happened during construction of the road and bridge before the fort. Pvt. Nathaniel Hicks, Co. I, March 14, 1838. Run over by a wagon. 4th Regt Artillery: Pvt William Ponton, Co. K, March 5, 1838. Fever. Florida Militia, Durrance’s Company of Independent Fla. Mounted Volunteers (Third Seminole War): Thomas W. Hill, age 23, died Apr. 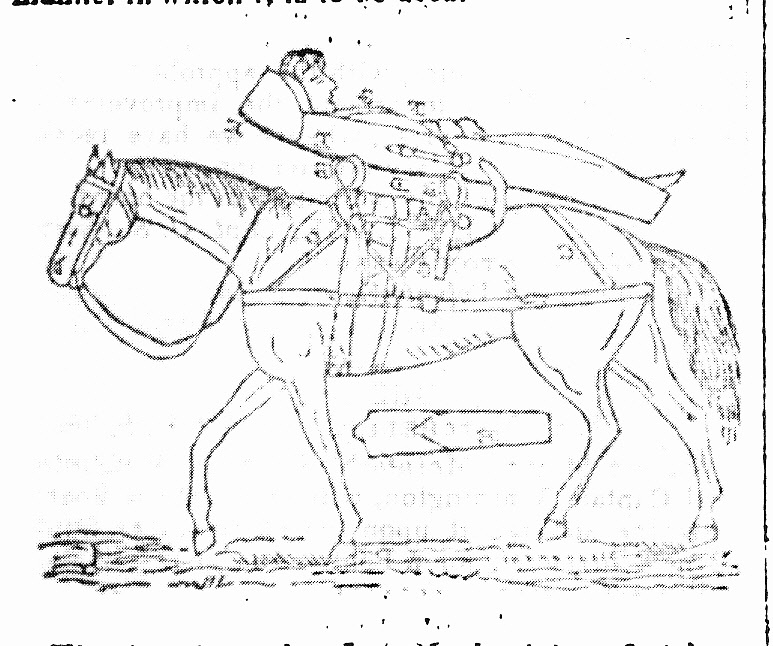 30, 1857. At the end of Col. Taylor’s campaign, 325 Indians and 30 Blacks were at Fort Fraser before moving on to Fort Brooke for removal to the west. When Fort Fraser was closed in May 1838, Taylor declared it the perfect graveyard, where not ten men in a hundred would survive a summer there. 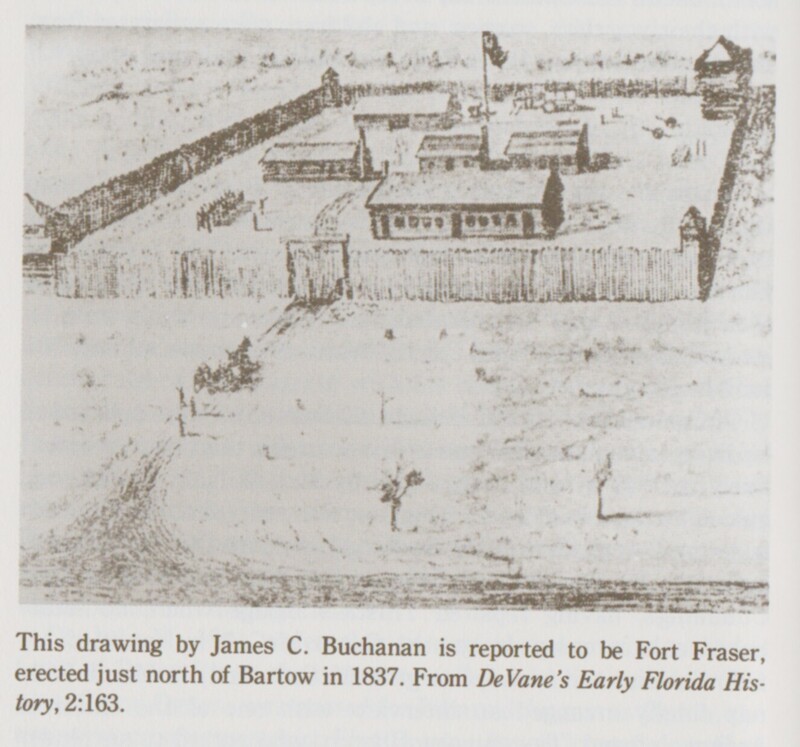 Fort Fraser was almost reactivated during the Panic of 1849, but it was found that the road could not be used between the old fort site and the Kissimmee River. So, the action stayed further south to Fort Meade. In the 1840’s, people were taking advantage of the land made available by the Armed Occupation Act. 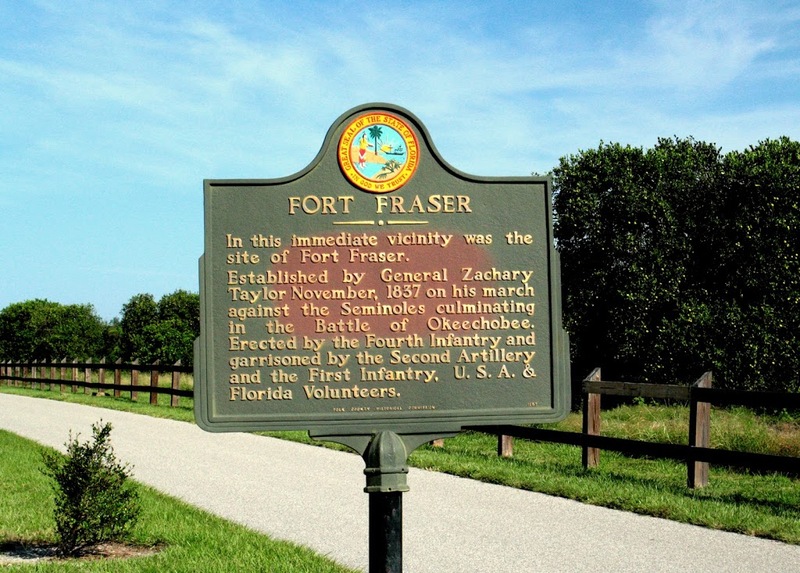 In 1854, a community developed around Fort Fraser, just as it did around Fort Meade, and a road was constructed between the two communities. When the Third Seminole War broke out in December 1855, a stockade was rebuilt at Fraser. The worst battle of the Third Seminole War was in June 1856 near Fort Meade, when Seminoles attacked the homestead of Willoughby Tillis. (I’ve written about this before.) It was initially fought by seven militia soldiers from Fort Meade. The next day, more militia soldiers arrived from Fort Fraser under the command of Francis Marion Durrance, who was also the brother of Mrs. Tillis. Fighting continued along the Peace River for two more days. This was the bloodiest and longest battle of the Third Seminole War, with several killed on both sides. 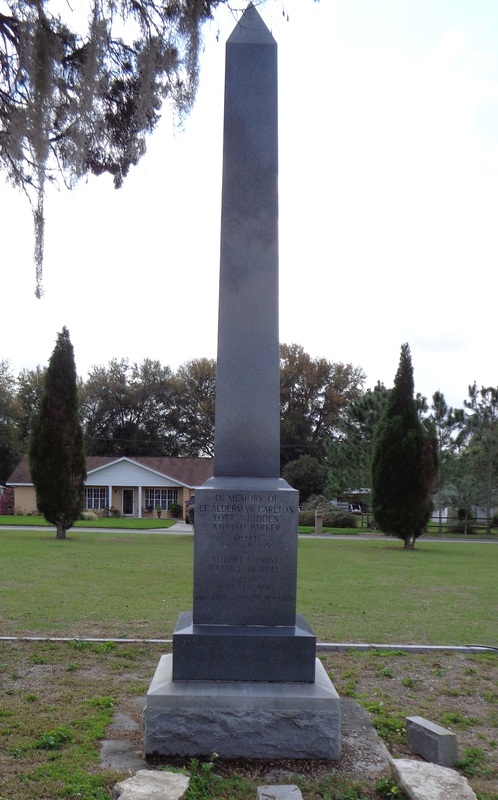 Image: Monument in Fort Meade to the Battle of Tillis Farm and burials. Although many forts were established in Florida during the antebellum period covering the Seminole Wars, only a few of these places are marked. Nearly all of these places are now developed. You can see which ones to visit in the Seminole Wars Heritage Trail booklet. 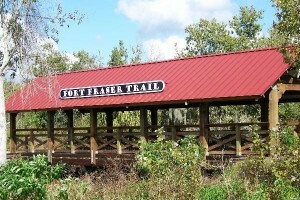 Image above: Modern bike trail bridge using an abandoned railroad grade, part of the Seminole War Heritage Trail. We are rapidly losing are historical sites as Florida is being developed quickly. I have seen us lose many of them over the past 50 years. When we lose them, we lose our heritage. We do not get them back. Even places that we thought were safe two years ago are apparently not safe. Even these sites on the Heritage Trail are not safe forever. The actual site where the fort stood, the owner is selling the property. We are losing our historical, cultural, and archaeological sites.